March 2016 is quickly approaching, and with it comes the debut of College Board’s brand-new SAT. 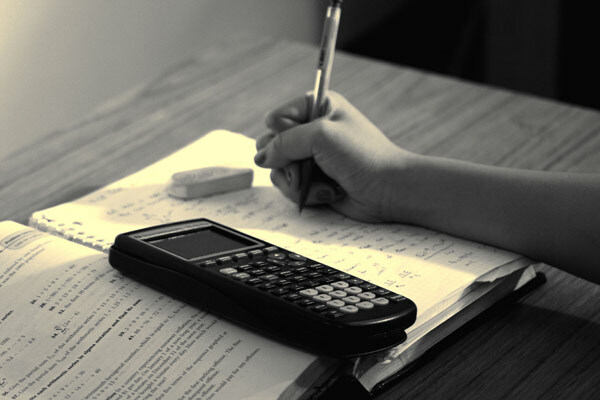 If you’re one of the lucky members of the Class of 2016, who have likely already started to be accepted by several colleges, you’ve probably already placed college entrance exams like the SAT far from your worries. But if you’re a part of the Class of 2017, you’ll want to start getting acquainted with the new SAT ASAP. The Class of 2017 had a bit of extra wiggle room regarding which standardized test to take, with their choices ranging from the old SAT, the new SAT, the ACT, or perhaps all three! Regarding the two options for the SAT, it’s likely that you’ll end up taking the new SAT at some point, regardless of whether or not you gave the tried-and-true version a shot before it was eradicated after the final January 2016 date. If you’re in the Class of 2018 or beyond (it’s never too early to start preparing! ), you’ll most likely have no other choice but to take the new SAT. Although the March 2016 test date will be the first administration, by the time you start considering signing up to test, plenty of kinks should be worked out and many more study resources should become available. However, as of right now, the resources available for the new SAT are a bit scarce in comparison to what’s offered for the old SAT, but if you make the most of what you have, you should find yourself well prepared come March. Kahn Academy: Kahn Academy is a valuable resource that offers various practice questions as well as four official practice tests for the new SAT. Daily Practice App: This app is available at your fingertips and is perfect for packing in a little practice in a quick amount of time. Similar to the former SAT Question of the Day app, you can answer a question, receive hints if you get stuck, and learn from answer explanations to pinpoint your mistakes. However, new to this app is the instant scan and score results for practice tests, which scans your answer sheet with your phone’s camera and saves it for future reference. Full-length practice tests: You can find four official practice tests for the new SAT here, all issued by College Board. Each test also comes with a practice essay and answer explanations for every question. Sample questions: Here you can find several sample questions for each section of the new SAT. These feature questions from both math sections (calculator and no calculator), reading, and writing and language, as well as sample essay questions. Official SAT Study Guide: Similar to the former Official SAT Study Guide administered by the College Board for the current SAT, this book features multiple practice tests as well as tips for test-taking, review of common concepts, and general guidance for succeeding on the test.